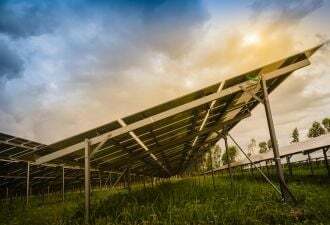 California utility Pacific Gas & Electric has spent years testing how “smart” solar inverters and behind-the-meter batteries can be turned into distribution grid assets. Now it’s getting ready to roll out these technologies in actual customers’ homes -- and tapping the existing fleets of two big vendors to get there. The new pilot projects, announced last week at the Intersolar conference in San Francisco, will feature three key partners. The first is General Electric, which is providing its distributed energy resource management system (DERMS) platform, developed from software built by GE acquisition Alstom, to allow PG&E to monitor and control distributed energy resources (DERs) on the grid and in customers’ homes and businesses. The other partners are microinverter maker Enphase and rooftop solar and energy storage vendor SolarCity. They’re in charge of signing up new and existing customers in the cities of Fresno and San Jose, and equipping them with grid-responsive smart inverters -- and in SolarCity’s case, behind-the-meter batteries -- that can work in conjunction with PG&E’s new DERMS system. This isn’t the first time utilities have tested these kinds of technologies, as we’ve noted in previous coverage. Lots of them are testing how batteries in homes and businesses can help serve their needs. And a handful of utilities, like Arizona’s APS and Salt River Project, are deploying smart inverters that are under direct utility control. But unlike almost all these previous pilot projects, PG&E’s new efforts are squarely aimed at bringing existing grid-edge assets into play -- and using the communications and controls systems of the companies that installed them, rather than the utility’s own software and telemetry, to turn them into effective grid assets. That’s an important step for PG&E and the state’s other investor-owned utilities. California is in the midst of a broad-reaching effort to remake its utility and energy regulations, with the long-range goal of allowing third-party DER aggregators to play a role in how utilities manage, and invest in, their low-voltage distribution grids. 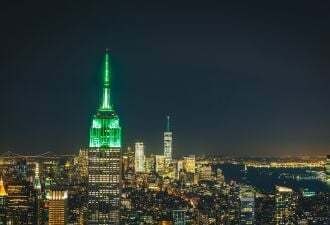 SolarCity and Enphase are both well positioned to help in this effort, since both have created grid services businesses that offer utilities data and (in some cases) control of their fleets of distributed energy assets. Both Enphase and SolarCity are actively recruiting customers for their Fresno and San Jose pilots now, and expect to have most of the installations complete by year’s end. The pilot itself will run through the end of 2017. “I can see these projects as being the first that are figuring out, in the future, how you can tap into third-party, behind-the-meter assets, to get grid benefits,” Ameet Konkar, Enphase's senior director of strategic initiatives, said in an interview this week. 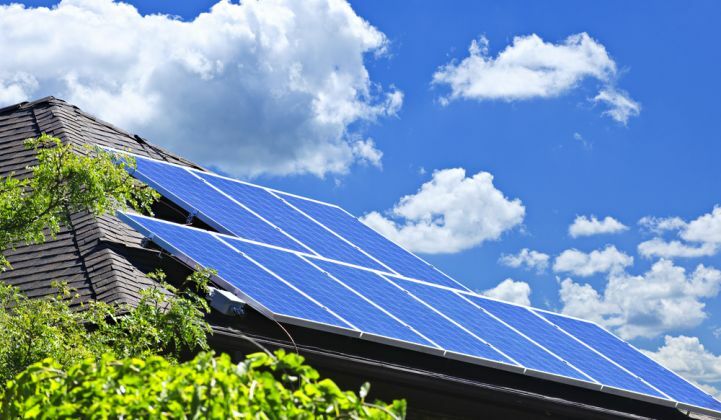 The new projects are taking several different approaches to this aggregator-technology-utility integration challenge, said Ryan Hanley, SolarCity’s senior director of grid operations, in an interview last week. In Fresno, PG&E will coordinate the adjustment of smart inverters from Enphase and SolarCity as part of utility’s volt/VAR optimization (VVO) pilot, which is automating the control of grid assets like load tap changers, voltage regulators and capacitor banks to drive conservation voltate reduction (CVR) and improve system voltage hosting capacity. Smart inverters can provide useful data to help fine-tune this process, and they can also inject or absorb reactive power to help in this task, either through automated settings or under active control. In the pilot, which will involve about 50 homes, “PG&E is using our platform and control interface to run through a bunch of technical use cases, about how well smart inverters can support voltage and reactive power management,” he said. Rooftop solar systems can actually cause new and challenging problems for maintaining distribution grid voltages, such as increasing voltages when they’re generating more power than customers are using on grid circuits, or causing rapid fluctuations in voltage as clouds pass overhead and suddenly reduce solar output. But if the inverters controlling all those solar systems can be made “smart” enough to adjust to solve those problems, that could allow utilities to manage those issues, said Matamoros. That, in turn, could allow them to increase the limits they’d otherwise have to place on customers adding new PV systems to solar-heavy circuits -- something that utilities in solar-rich states like California and Hawaii are already starting to deal with. The second pilot project in San Jose is where PG&E is trying out its DERMS integration, Hanley said. “There are two main use cases here,” he explained, both tapping SolarCity’s GridLogic platform. “PG&E will use the fleet of batteries for dynamic capacity support at a substation,” such as discharging batteries to reduce peak loads on a substation that might otherwise face excess stress or require expensive upgrades. That’s a fairly typical use case for distributed battery pilot projects, but almost all of those have used utility-owned and -operated batteries to date, he noted. “The second is analogous to the smart inverter use case -- we’re going to integrate into PG&E’s DERMS and show that the end-to-end integration works, and that you can get signals back and forth,” Hanley said. If the integration proves successful, that could open up the opportunity for PG&E to use the combined capabilities of the batteries, inverters, and potentially other customer-side equipment like smart thermostats or other load-control devices, for a multitude of grid needs. Unlike other utilities SolarCity has worked with in the past, such as Southern California Edison or Hawaiian Electric, PG&E actually put the energy storage portion of this project out to bid under a request for proposals process. Hanley didn’t disclose how much PG&E is paying SolarCity for the deployment or what batteries it will be using. But it’s almost certain that SolarCity energy storage partner Tesla will be providing its Powerwall batteries for the project. In the case of the San Jose pilot, “The customers will be getting the battery for free, and for the life of the battery, the customer will be able to use it for backup power,” he said. That’s the main justification for everyday homeowners to invest in batteries nowadays. At the same time, “The utility will have free rein to use the battery during the course of the pilot,” as well as after it’s completed. In the future, however, it’s possible that SolarCity or Enphase -- or other third-party DER aggregators -- could make a set of customer-sited energy assets available to PG&E’s DERMS platform for use in a variety of grid needs. 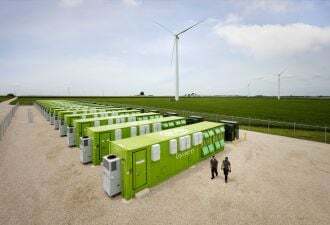 “What’s exciting to me about the DERMS strategy, as I understand it, is that it could include load management, energy storage, and other resource types, within the same aggregation platform,” Enphase’s Matamoros said. That, of course, is just where California utility policies are headed, with regulatory changes underway meant to increase the role of DERs as alternatives to utility distribution grid investments, as well as enabling them to make up a much bigger portion of the state’s demand response and grid energy market portfolios in years to come. That means that PG&E’s new pilots may be the first of their kind -- but they certainly won’t be the last. As Mark Esguerra, distribution planning principle at PG&E, noted in an email, "PG&E believes that DERMS is needed to enable the safe and reliable operation of the high DER penetration grid of the near future."